HOUSTON (April 24, 2018) — Neste U.S., Inc. is marking its 1 billionth gallon of Neste MY Renewable Diesel sold in North America which has effectively helped reduce more than seven million metric tons of greenhouse gas emissions in the Earth’s atmosphere. 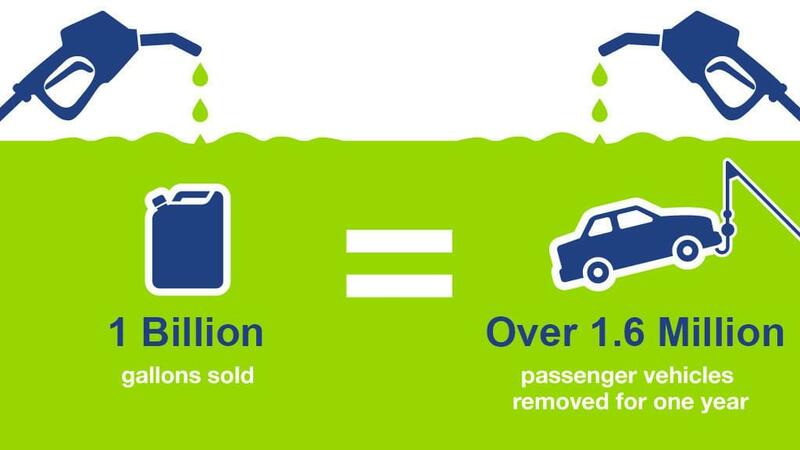 This is the equivalent of removing 1.6 million passenger vehicles from the road for one year. Neste MY Renewable Diesel is a drop-in low-carbon diesel produced from 100 percent renewable and sustainable raw materials, such as waste animal and fish fat, vegetable oils and used cooking oil. It emits up to 80 percent less carbon when compared to petroleum diesel. With the goal of empowering commercial fleet vehicles, city sanitation, utility companies, and schools to become more environmentally responsible by making clean and renewable fuel readily available, Neste has been leading the charge on creating cleaner renewable fuels and supplying the North American market since 2012. Neste MY Renewable Diesel is available to public and private fleets in California through authorized distributors. For more information and where to buy, please visit www.nesteMY.com.